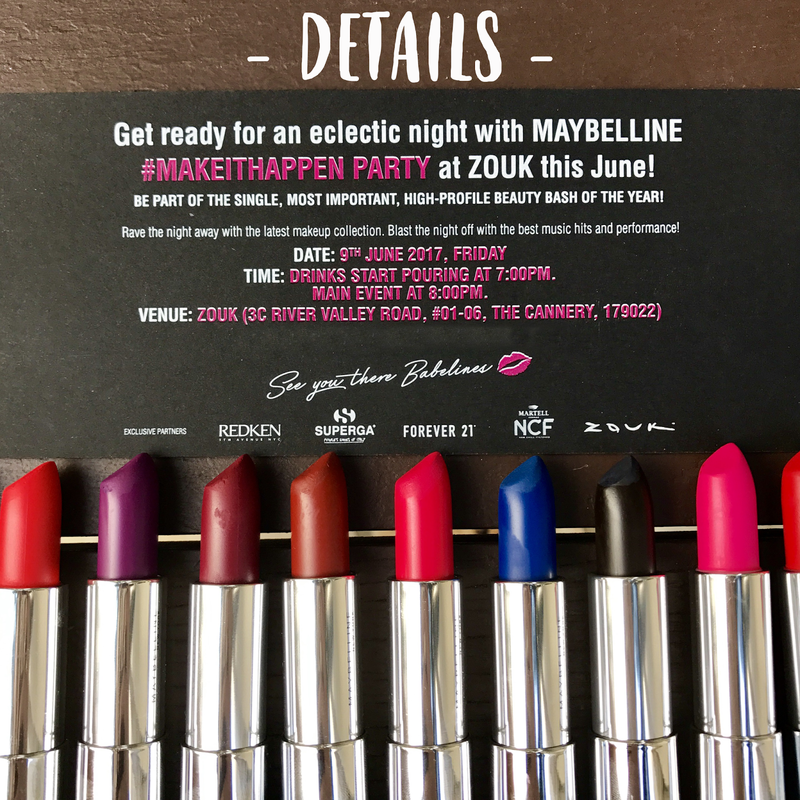 Gather your Glam Squad and get ready to party the night away with your Maybelline Mates! 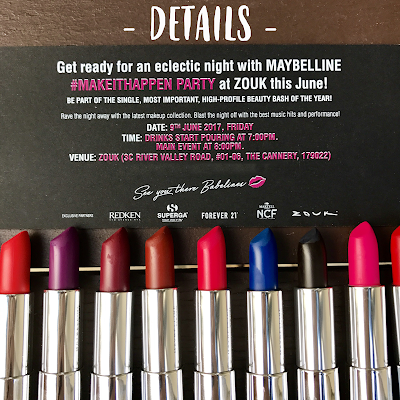 The Maybelline #MAKEITHAPPEN Party is happening at Zouk on Friday, 9 June 2017. Drinks start pouring at 7:00pm but what’re drinks when it’s all bout the girly fun and makeup right!! So it’s going to be a night of endless excitement – and I’d love for you to join me! 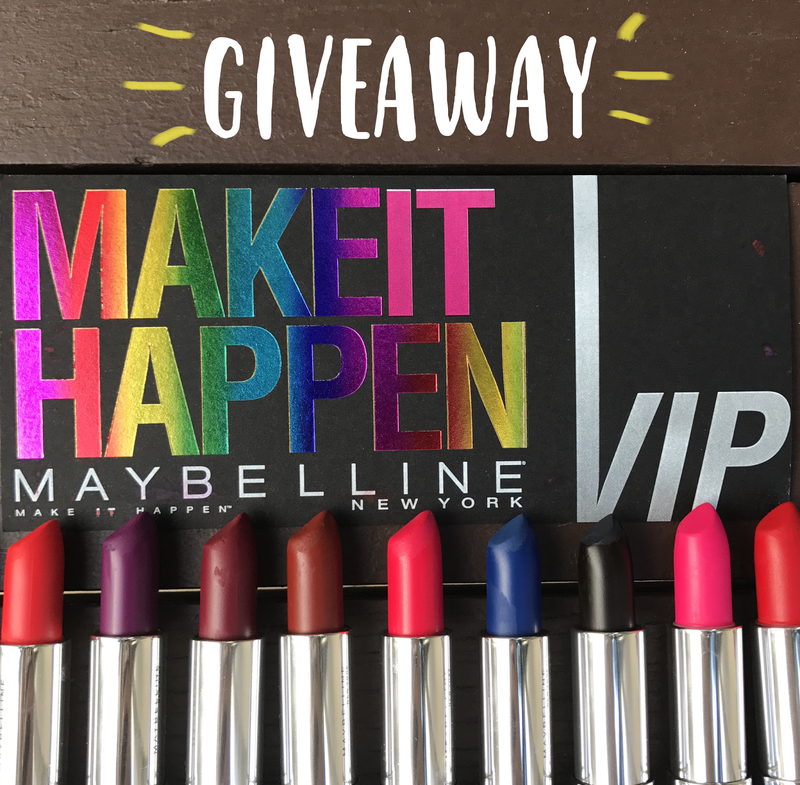 There’s a giveaway happening on my Instagram (@kiminpei) from now till Monday, 29 May 2017. All you have to do is comment on the post, tagging 3 buddies. 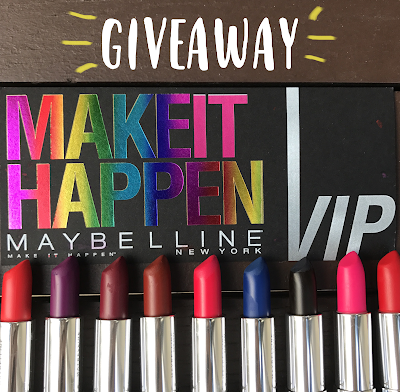 8 Winners will be picked.